Samsung has announced that it will soon ship 1 TB of large eUFS memory chips to smartphone manufacturers - mass production has already started. This brings smartphones with 1TB of internal memory within reach, eliminating the need for additional memory microSD cards. 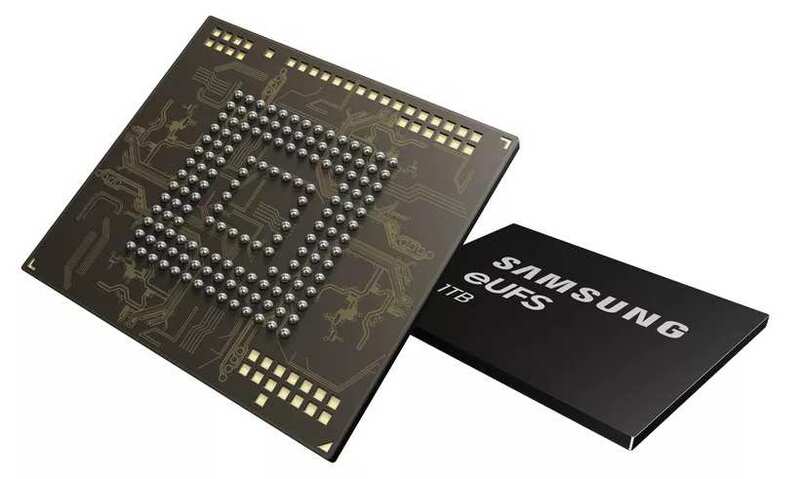 Maybe Samsung&s new smartphone Galaxy S10 will already include a version with 1 TB, which will be introduced in February. More memory is always a good selling point, because it&s never enough, especially if you shoot a lot of high resolution photos or 4K videos with your smartphone. The new memory, consisting of 16 layers of 512-GBit-V-NAND, is fast: its reading speed is about 1,000 MB/s and is thus more than 10x as fast as microSD cards - the Sequential Write Speed is also relatively high with 260 MB/s. The memory is also very fast with a high speed of 1.5 MB/s. The memory is also very fast with a high speed of 1.5 MB/s. The 512 GB version, which was already built into the Samsung Galaxy Note 9, still achieves 860 MB/s and 255 MB/s respectively. The note 9 already had a total of 1 TB of memory, if you have a 512 GB microSD card - which is available from 134 Euro - and a larger one.